German Shepherds can make great guard dogs because of their loyalty, intelligence, strength and sense of protection. A German Shepherd will usually be happy with the job of protecting you and your family as a guard dog. Stay safe with your German Shepherd guard dog. Call your homeowner's insurance company to make sure you are allowed to have a German Shepherd as a guard dog or even a pet. Check your local laws as well. Some will not allow trained guard dogs. You might need to get your German Shepherd special training to obey the law or your insurance company's rules. Begin training your German Shepherd to be a guard dog very early in her life. Starting at 8 weeks old is best. Socialization should be the first part of training. Introduce your German Shepherd to new people, places and things. This socialization training will help your dog learn to see what is a threat and what is not. You can do this by going for walks in different areas, taking her to different parks, bringing her along on car trips when you can and allowing visitors to interact with her. If German Shepherds do not receive this training, they could become dangerous to anyone. Train your German Shepherd to be a guard dog with obedience training. Your dog should understand that you are the master. Use a clicker to teach her the basic commands necessary: come, sit, stay and down. Create rules in your home for your German Shepherd to teach her discipline. She will need this in order to be a good guard dog. 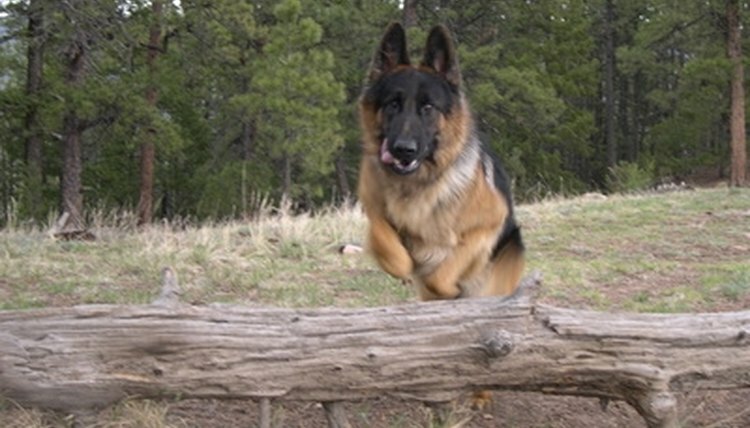 German Shepherds respond well to this type of training and enjoy pleasing their owner. It shows that you expect her to behave. Some good house rules include no begging during meal times, staying off furniture (get a dog bed for your German Shepherd), no jumping on people and sitting before playing with a toy. Sign your German Shepherd up for guard dog training classes with a qualified instructor who has experience training German Shepherds in this specialized discipline. This type of training will help teach your dog more about guarding and protecting. The training will help fill in any gaps. Professional training is also beneficial because your dog will see another person teaching her some of the same things you do. That will help reinforce the importance.